The 2016 installment of Phoenix’s Experimental Arts Festival included a couple of works of mine: Omónoia, a percussion quartet using a map score that allows for 360° perspective; and #Siftt, a collaboration with media artist Casey Farina using a real-time Twitter feed and animated score. The X-fest often presents workshops, interactive installations, and concert performances including interdisciplinary works. 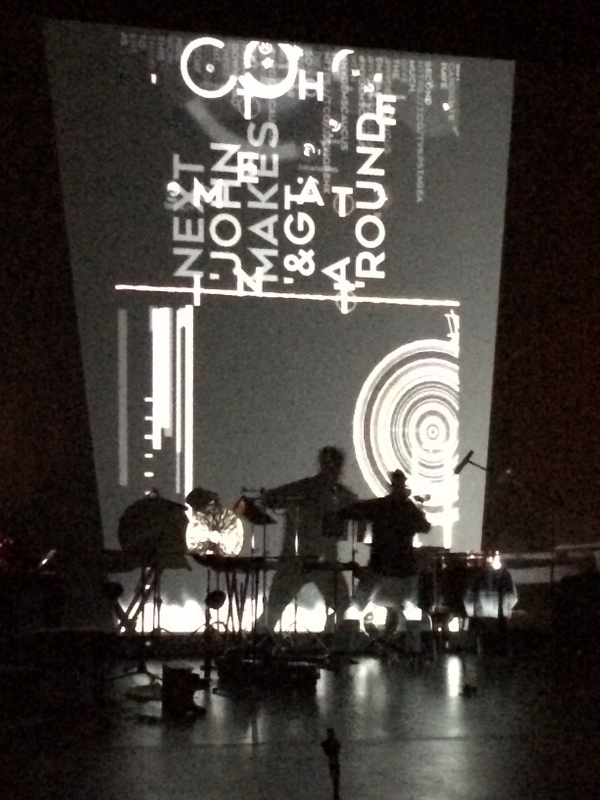 This year saw a creative mixture of 1-bit electronics, projection animations, modular synthesizers, and dance. 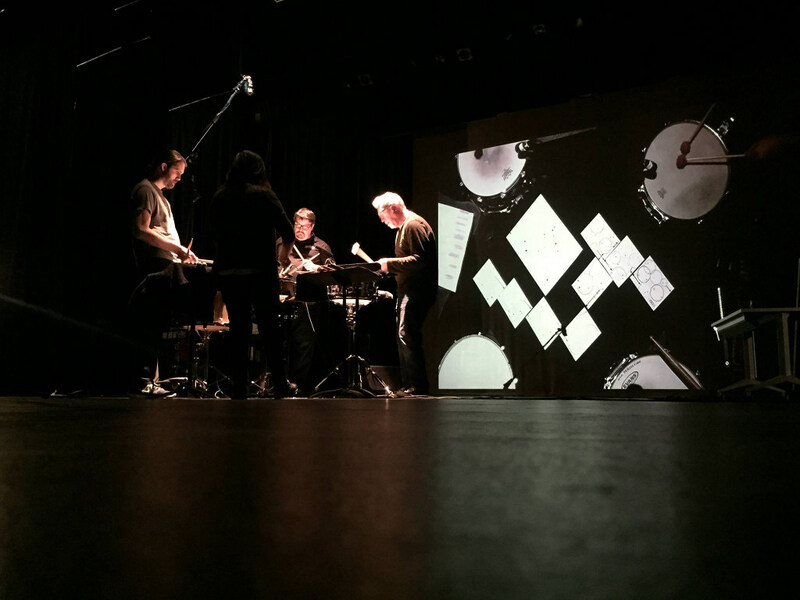 Performances of Omónoia can be enhanced by amplifying each snare drum, adding an overhead camera for projection, or even adding colored lights to each player corresponding with their color in the score. 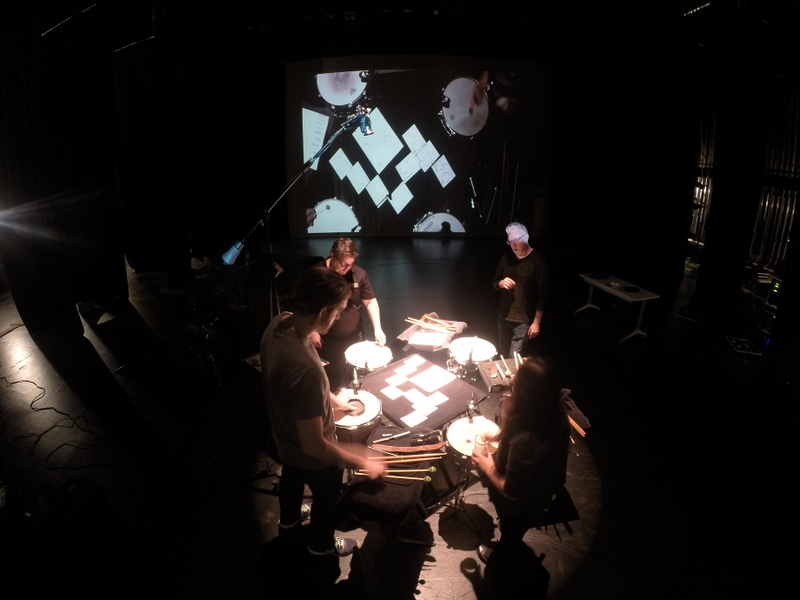 For this performance we amplified each drum and used an overhead camera to add visual aesthetic. 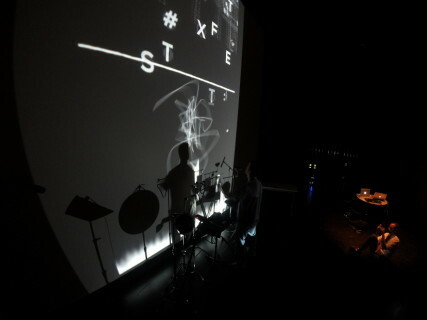 For more info on #Siftt, visit this page.